It provides products to customers around the world using brands of Toyota, BT, Raymond and Cesab which together form Toyota Material Handling Group. The flow of goods links the world and enriches the lives of people and society. By providing a diverse range of material handling equipment such as forklifts, TMHG supports people working at the frontlines of logistics and helps bring smiles to the faces of people all over the world. Global share of its market is No.1 in 16 consecutive years, 21% in 2016 (internal investigation). The forklift parts are produced in China and then transported to Sweden. Prior to working with Boxon, the customer used a variety of disposable packaging in different sizes and appearances. When the parts arrived to its destination in Sweden they had to be repacked in standardized packaging to match the local warehousing system and market. This caused severe inconvenience and an increase in packaging cost. 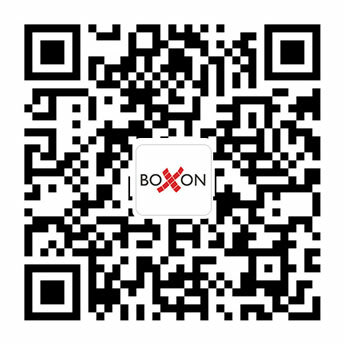 Boxon customized a more profitable packaging solution based on the product features and transit mode. 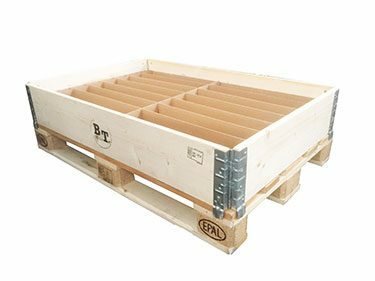 Boxon engineered Euro pallet and collars as outer packaging for the forklift parts. In this way, no more labors are needed to unpack and repack the parts after they arrive at the final destination in Sweden. It not only saves time but also diminishes the waste of plywood boxes which make its way to the landfill. Euro pallet and collars are the standardized transport packaging which can meet all the packaging demands of European customers. They can be reused multiple times and reduce the cost of packaging material to a great degree. Additionally, the ease of handling increase both when recieving the goods and stacking it. Customizable color and print also contributes to a high re-sale value. By analyzing the characteristics of the products, Boxon engineer designed the particular inner blocking and cushioning which increase the amount of products packed per pallet and make the best use of space. The blocking and cushioning also passed the vibration and shock tests which proved the products could be well protected in transit. The inner packaging made of corrugated board and EPE is environmental and good-looking compared with the previous plastic bags. Are you using the right packaging material? Is it essential to choose reusable packaging? As the packaging expert, Boxon is committed to offer you the most profitable packaging solution. With the knowledgeable packaging engineering team and extensive industrial experience we are able to make packaging advices to you based on your business demands and help you achieve your long-term strategic target.